Call for Papers für studentische Manuskripte: "Internet Governance as an Arena of International Politics"
Anlässlich des Internet Governance Forums (IGF) im November 2019 in Berlin gibt ÖFIT ein Special Issue zu Internet Governance aus Sicht der internationalen Beziehungen im studentischen Journal „Key Issues" heraus. Hierfür suchen wir innovative, kritische Perspektiven und Analysen in Form von Policy Papers und Academic Articles. Internet Governance, ursprünglich vor allem mit technischen Fragen befasst, hat sich zu einem hochpolitischen Thema entwickelt. Die Mechanismen, z.B. der Multi-Stakeholder-Prozess, werden von einzelnen Akteuren kritisch gesehen. Ein politikwissenschaftlicher Blick auf die verschiedenen Facetten der Internet Governance kann wertvolle Impulse für die Diskussion rund um das Internet Governance Forum 2019 (#IGF2019) in Berlin setzen. Um der Perspektive und den Ideen Studierender zum Thema Internet Governance eine Plattform zu bieten, organisiert ÖFIT ein Special Issue im studentischen Journal „Key Issues" aus Bremen. Studierende, die sich mit diesem Thema beschäftigen, sind herzlich dazu eingeladen, ihre englischsprachigen Manuskripte bis zum 1. Juli 2019 bei „Key Issues" einzureichen. Details zu möglichen Themen und organisatorischen Vorgaben zur Einreichung finden sich untenstehend und in der PDF-Version des Call for Papers. Dieser Aufruf darf gerne geteilt werden! Call for Student Papers: "Internet Governance as an Arena of International Politics"
Internet governance, i.e. the processes and structures through which rules and standards for the Internet are set, mirror the overall complexity of this infrastructure. Internet governance encompasses the global governmental and private sector cooperation needed to create Internet infrastructure. As the Internet grows rapidly in reach and scope, the issue of its regulation has become a complex task for its stakeholders. Major issues in Internet governance include governments' levying taxes on e-commerce, and cyber security. The question: Within whose domain the Internet falls? is increasingly controversial as the Internet expands unrestrained. In cooperation with Kompetenzzentrum Öffentliche IT (ÖFIT), Key Issues is releasing its first special issue on the topic of Internet Governance in preparation for the Internet Governance Forum 2019 in Berlin. We take the hosting of the Internet Governance Forum 2019 in Berlin as an occasion to examine Internet Governance from the perspective of international politics. How can the Internet be governed? Has the multi-stakeholder approach proven itself or would a multilateral approach be more appropriate? Do we need new international institutions? How do non-government organisations fill their role in Internet governance? How do governments exert influence? 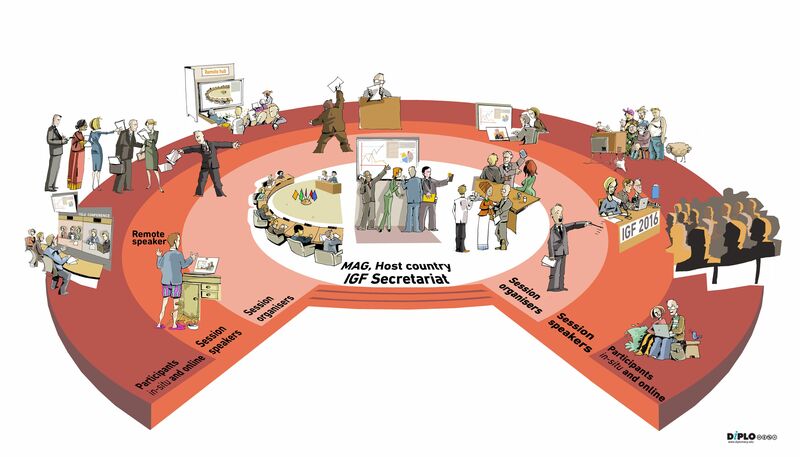 What is the role of the different organisations and fora such as IGF, ICANN, IANA, ITU, W3C etc.? What's the role of private companies, especially as transnational actors? Which and whose rules should apply to the Internet? How does the struggle about how open, commercial or government-controlled the Internet should be play out? Which conflicts and coalitions form around topics like business models, net neutrality, censorship and government surveillance? What are the political questions behind technical decisions? What is the influence of encryption, development of DNS, the growth of mobile communications, and machine-to-machine communication on the development of the Internet? What does the fragmentation of the Internet in several technical ecosystems mean for its governance? How do national and international actors pursue their strategic goals in Internet governance? How does the dominance of the USA change? What repercussions does the rise of "national" Internets have? How are the topics of security governance and cyber warfare dealt with? What interests does Germany pursue in Internet governance, and how? How can Germany use the existing fora and organisations more strategically? Which goals should be pursued on an international, European or national level? These questions are meant to serve as a first reference point. We also welcome submissions beyond the scope of these questions, as long as they are thematically related. A detailed, scientifically based article that examines a problem of Internet governance from the perspective of international relations. The article can be written only for this purpose or a rewritten paper. A compact, policy-oriented contribution that derives and formulates concrete policy recommendations for a problem of Internet governance. These contributions are no longer than 1000-2000 words, have a current relevance and are provided with three keywords. The text must be 1.5-spaced. Use Times New Roman font and 12 point font size. Leave 2,5 cm margin on each side. Long quotations, footnotes, and bibliography may be single-spaced, 11 point. The submission should be made until July 1st 2019 to keyissues.bremen@gmail.com. We will only accept student papers. Articles not in line with formal criteria cannot be considered. In case of questions of any nature, feel free to contact us! 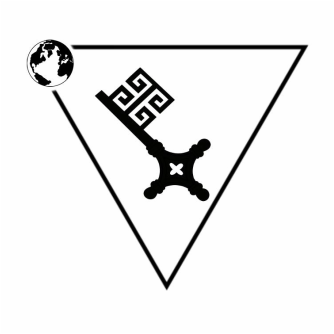 KEY ISSUES is Bremen's first and only peer-reviewed open access student-run academic journal. Founded in late 2014, it seeks to promote high-quality student research in the social sciences. Kompetenzzentrum Öffentliche IT (ÖFIT) at the Fraunhofer Institute for Open Communication Systems is a contact point and think tank for issues of digitalisation in the public sector. We follow a holistic approach that considers technical, social, legal, and economic aspects and factors. We highlight issues of the increasing digitalisation of society and provide policy recommendations for decision-makers in politics, administration and civil society. ÖFIT is funded by the German Federal Ministry of the Interior, Building, and Community.